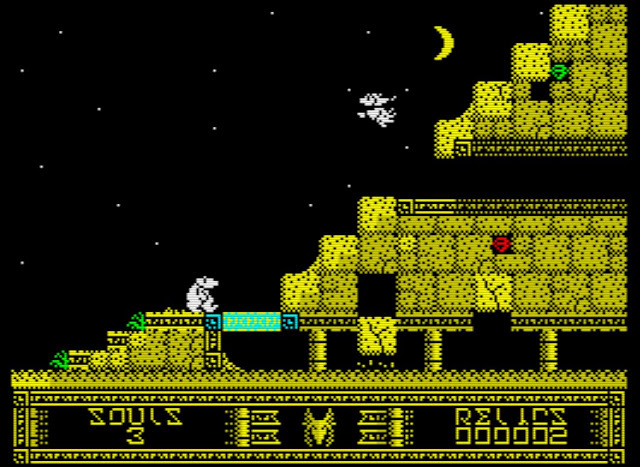 After much mentioning and shouting to the hill tops, we are pleased to announce the release of Andy Johns latest and second ZX Spectrum game ' Monty Mole and The Lost Souls '. If you've been following our write ups lately, you would've already seen his previous and first game Montys Honey Run (link), which was also made using AGD, and also a fan based game in the Monty Mole series of games. The first game officially released in the 1980's by Gremlin Graphics. Now in the first highly recommended game set deep underground, Monty was on a quest to get his honey back after they were stolen by Bee's. But this time Monty is dealing with something much worse as the game is set to a much darker tone. No longer is he dealing with bats and bee's, but deadly scorpions, ghosts and even vicious traps set in an Egyptian Tomb, of which he MUST escape with Relics collected along the way. 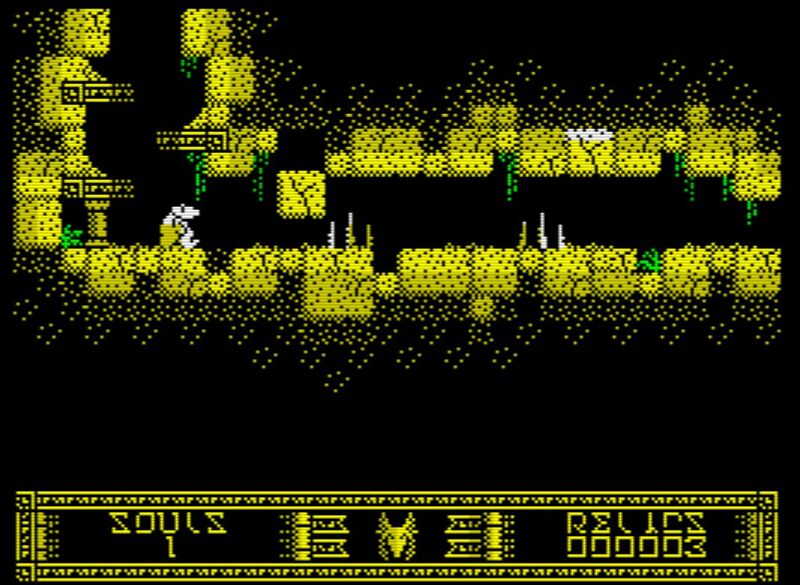 Right from the word go, you just know Monty Mole and the Lost Souls is going to be something special as even from the very first scene and into the next, you can't help but admire the gritty Egyptian textures and moonlight giving the impression of a far off tomb at night in the desert. These high grade graphics and even animations, are actually even more apparent further into the game and deep within the Tomb, as plant life pokes out from the rocks, and deadly traps smash to the ground, with dust pushed up with force. 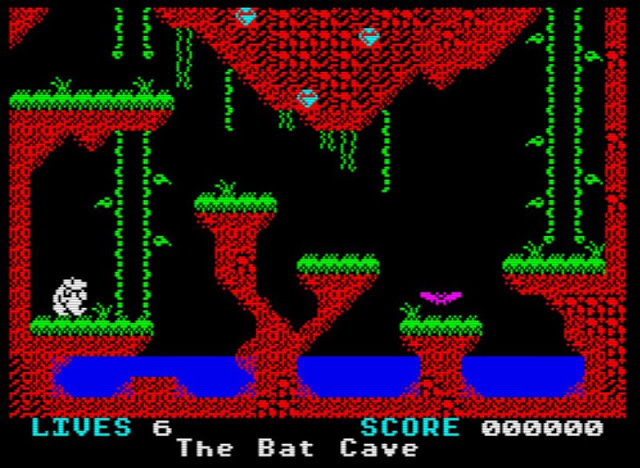 But it isn't just the graphics that make a game, good game play does, and Monty Mole and The Lost Souls is on top form on the ZX Spectrum as every bit of the game is so much fun to play and a real challenge as well. All the animated enemies and traps such as the scorpions will put your skills to the test, as one wrong jump or move and it's back to the start of that screen. But on the upside, if you've worked hard to get a Relic, you still keep it even after a lost soul. But what do I think of the game overall? 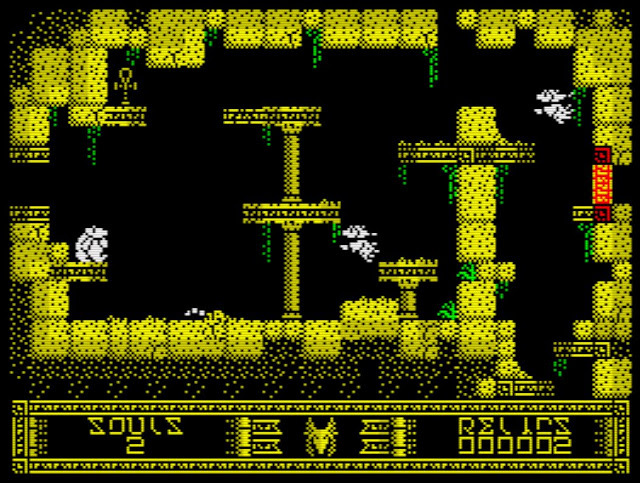 Seriously, Monty Mole and The Lost Souls is a fantastic game from Andy Johns that I'd recommend everyone to play, even if you don't have a real ZX Spectrum. So what are you waiting for, grab that download link and play it NOW!